Across India, particularly in the Karnataka coastal belt, there is an atmosphere of intimidation. If you eat beef (fish and fowl are apparently kosher) or wear ‘revealing’ clothes (never mind that a saree can be far more revealing) or as much as appear with a woman who is not your wife or sister, you risk being attacked by Hindutva hoods claiming to be working to ‘protect’ Indian culture. Gauri and I wondered when they would begin destroying the temples in Khajuraho and Konark like the Taliban yahoos had done with the Bamiyan Buddha. And it wasn’t just the saffron radicals—there were the green fundamentalists too. As it turns out, the love jihad imbroglio is just a social manifestation of an increasingly deadly political blood feud in the coastal belt. It extends down from North Kanara, or Uttara Kannnada (Anant Kumar Hedge’s constituency), through South Kanara, all the way into Kerala, where the BJP and CPM have been fighting for ideological primacy for years. Early in January 2018, a young man named Deepak Rao, said to be a Bajrang Dal activist, was hacked to death by unidentified persons in Katipalla, near Surathkal, a town known for its high literacy and educational institutions. Within days, there were what seemed to be retaliatory killings of two Muslim activists in the region. These were among scores of political murders that took place in the communally charged coastal belt between Kannur and Kasargod, Mangalore and Manipal, areas of relatively improved social indices. The communal virus had now infected the entire coastal belt. Gauri spotted the trend early. ‘When I meet friends from the coastal districts of Karnataka, I ask them, “So, how are things in that hell hole you call home?” And I don’t mean it as a joke. Over the last decade, the communal situation in that region has become so heightened that threats, assaults and abuse have become a common feature of daily life. I am not talking about the attacks on boys and girls from different communities for daring to speak to one another; I am not even talking about attacks on churches and nuns. I am talking about the attacks on some of the leading activists, lecturers, writers and thinkers who dare to oppose the saffron brigade in those districts,’ she wrote in a column. She went on to detail and enumerate the victims: the first to publicly bear the brunt of the saffronites was Pattabhiram Somayaji, a lecturer in English at the University College in Mangalore Somayaji who had been taking up public causes for a long time and had called the Rama Sene, whose goons had attacked girls in a pub in the city in 2009, ‘Ravana Sene’. For this and other challenges to the Hindutva radicals, he had been physically attacked and had cow dung smeared on his face. Similarly, Suresh Bhat Bakrabail, a retired engineer and district president of Karnataka Communal Harmony Forum (KCHF), who had protested the killing of Kabir, a cattle transporter, was attacked by Hindutva hoods. Such radical right-wing activism came to Karnataka pretty late. In a January 2018 Lok Niti poll cited in the Economic and Political Weekly (EPW) that Gauri would have been dead chuffed to read if she were alive, half of the (mainly Hindu) Karnataka respondents reported having a Muslim as a close friend as compared to only one-third respondents in other states. ‘Fewer respondents in Karnataka than elsewhere believe that Hindus are more patriotic than minorities, or that Muslims are mostly violent,’ noted James Manor, a political scientist with expertise in Karnataka politics, whom both Gauri and I had met early in our careers when he was a frequent visitor to Bangalore. 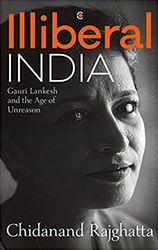 The finding conformed to Gauri’s belief that communal harmony was an integral part of Karnataka’s ethos—probably much more than in other parts of India.